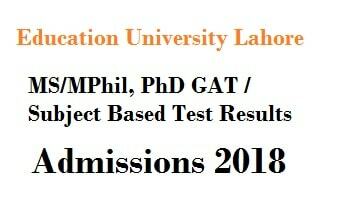 Admissions for Fall 2018 for all BS/ MA / MSc / M.phill/ MBA/ and PhD programs will be starting from 27th August 2018. Prospectus and admission forms will be available online on our website from 27th August. 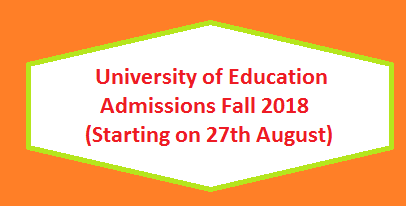 Visit the below link to view complete list of programs offered at University of Education.